Each of our Christian rings is designed to uplift and look stunning! Featuring scripture verses, wearing one of our rings is a great way to honor your faith in our Savior while remaining in style. If you need help determining your ring size, we have even provided a helpful guide that you can use at home. 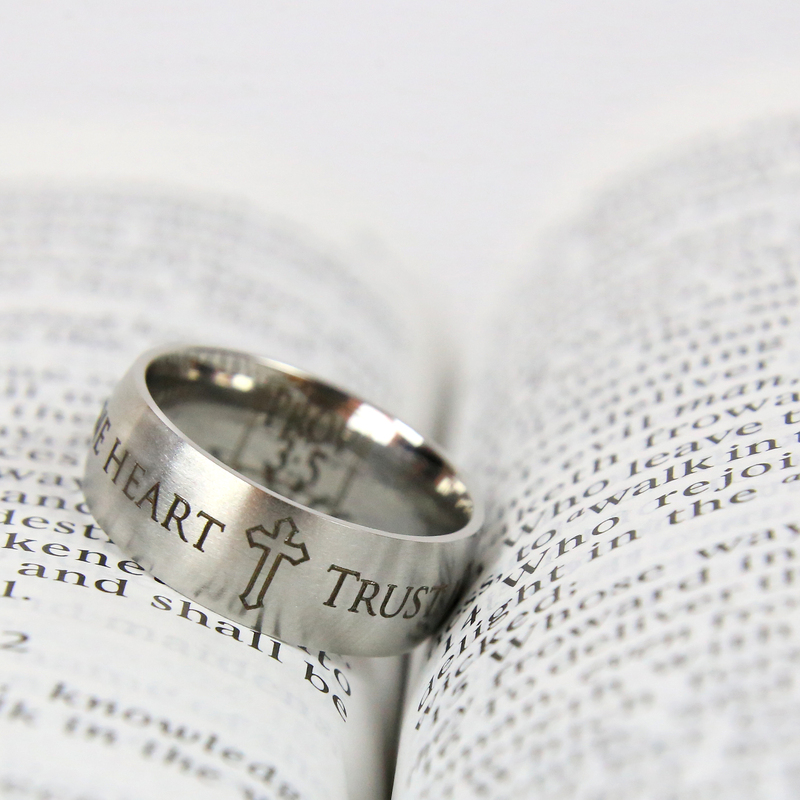 Find the scripture verse ring that speaks to your heart and testimony by exploring our collection today. 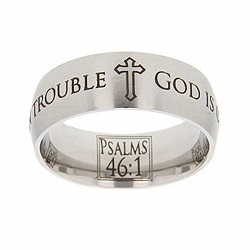 This specially designed ring features the scripture Psalms 46:1, which says, "God is our refuge & strength in trouble." The scripture wraps around the outside of the ring, with a cross in the center.The inside of the ring has the reference engraved. Add a personalized inside engraving for only $9.99!This ring is made out of stainless steel, and has a wide comfort fit and matte finish. 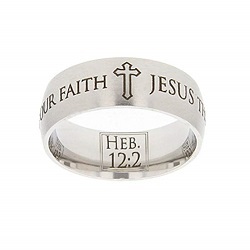 This specially designed ring features the scripture Hebrews 12:2, which says, "Jesus the author and finisher of our faith." The scripture wraps around the outside of the ring, with a cross in the center.The inside of the ring has the reference engraved. Add a personalized inside engraving for only $9.99!This ring is made out of stainless steel, and has a wide comfort fit and matte finish.